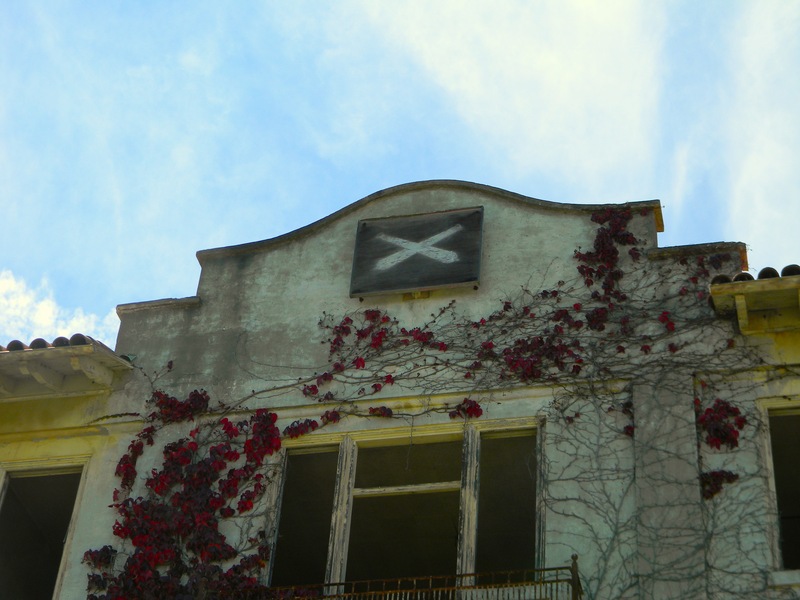 Built in 1911, the hospital at Fort McDowell is one of Angel Island’s most accessible and fascinating buildings. Unlike other historic buildings on the island, visitors are permitted to explore the ground floor of this century old structure, where signs of its various uses are still visible. Its weathered concrete walls convey a sense of history that encompasses both World Wars and the Cold War. When World War I began, Fort McDowell served as a processing station for recruits and soldiers returning from overseas. During World War II, the Fort became a Port of Embarkation for soldiers being sent to the Pacific Theater. 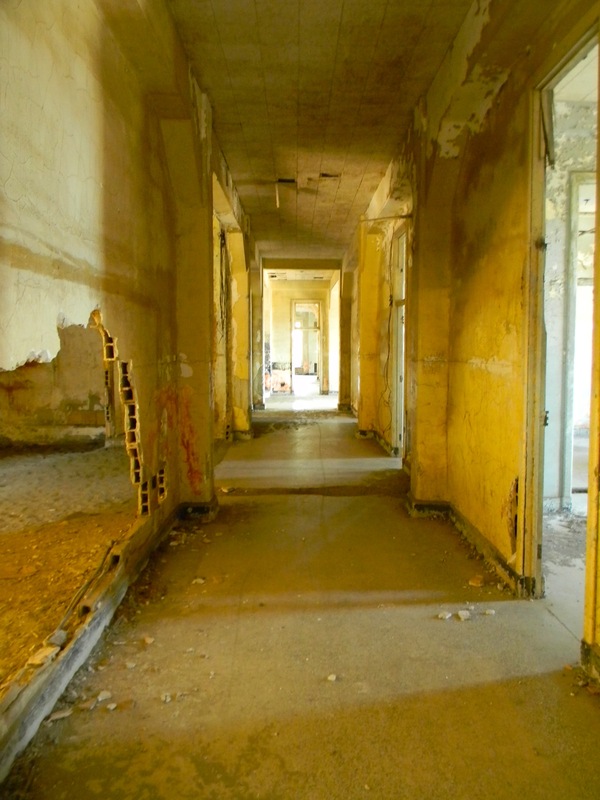 Finally, Fort McDowell was decommissioned on August 28, 1946, but was later used as a Nike missile command post during the Cold War, when nearly one hundred men were housed in the former hospital. Crossed cannons artillery insignia on the hospital’s upper facade. 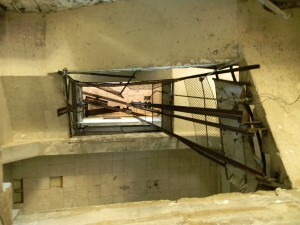 Looking up one of the stairwells.